Vivacious speaker Ruby Wax is a well known TV personality who has been an active voice in the battle against mental illness. 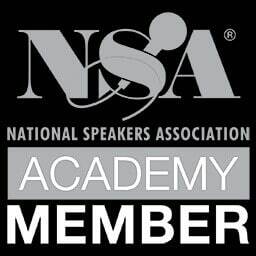 She facilitates workshops and presents keynotes which focus on neuroscience, communication, and leadership. Keynote speaker Ruby Wax effortlessly combines humor with heavy and important topics. Her keynotes are captivating and informative. Keynote speaker Ruby Wax is best known for her T.V. documentaries and interviews. She was a member of the Royal Shakespeare Company for 5 years, and has served as script editor for various shows, including Absolutely Fabulous. Ruby Wax has previously studied psychology at the University of Berkeley, California and she obtained a Diploma in Psychotherapy and Counselling from Regent’s College, London. At the moment, Ruby is studying for an MSt in Mindfulness-Based Cognitive Therapy at Oxford University. Aside from her career in television, Ruby is qualified in Psychotherapy and studied Neuroscience at Oxford. She now runs management workshops for business leaders and enables them to find a deeper and more direct level of communication with clients and colleagues. Her workshops combine humour with theoretical and scientific learning and normally involve practical exercises. Her hugely successful two-woman show ‘Losing It’ recently finished its West End run. The show is a dark comedy about mental illness and coping with the toxins of modern life. 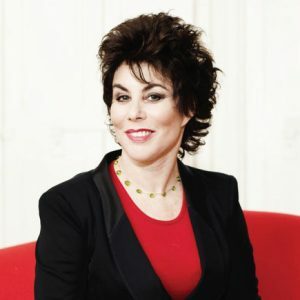 Ruby Wax also hosted weekly Forums at the theatre where the public could get free advice on where to obtain help in the UK from prominent mental health professionals. Our warmhearted speaker Ruby Wax is in the process of launching the mental health website, Blackdogtribe.com, which will help sufferers to get help, information, to communicate with each other and to eliminate the stigma. She also speaks to a wide variety of organisations on this issue. During a typical workshop, Ruby might include clips from her interviews with Madonna, Imelda Marcos and Hugh Heffner. Gifted with an extraordinary wittiness, keynote speaker Ruby Wax demonstrates moment by moment how she gets under the skin of these individuals, relating to them on a human level, showing both samples of her many successes, and one or two of her ‘car crashes’!